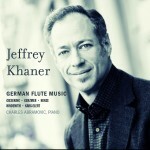 Jeff Khaner’s first solo CD, American Flute Music (AV 0004), garnered international critical acclaim and earned Jeff a place alongside the world’s most famed flutists. Following this notable debut is British Flute Music, a unique overview of the best-known 20th-century British composers. 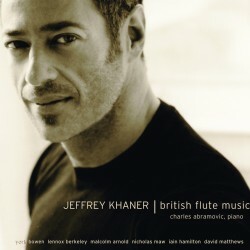 Principal flute of the Philadelphia Orchestra, this release continues to seal Jeff’s reputation as a superb solo artist.